A robust chair with a high or low back – and now available in pink! 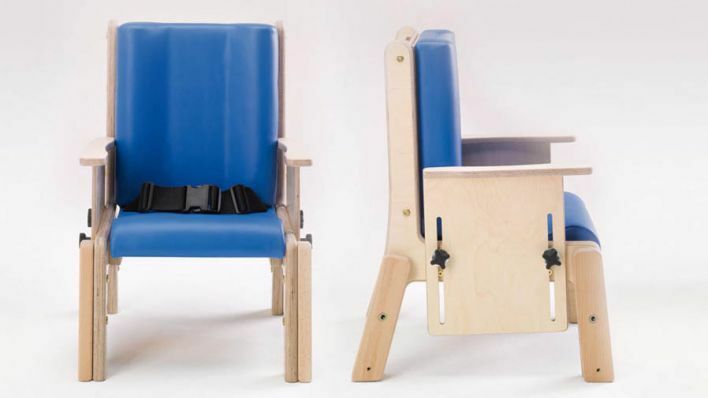 The Brookfield has a unique moulded back which promotes central alignment and gives additional support whilst your child is seated. It’s seat height and depth can also be adjusted to suit. As an additional feature, the back can be adjusted in height. The Brookfield comes complete with a moulded back, contoured seat, pelvic strap and height adjustable arms as standard. A static or mobile version is also available as well as a choice of high or low back.